Inspired by the popular '80s animated series, DreamWorks' She-Ra and the Princesses of Power tells the epic story of an orphan named Adora, who leaves behind her former life in the evil Horde when she discovers a magic sword that transforms her into the mythical warrior princess She-Ra. Along the way, she finds a new family in the Rebellion as she unites a group of magical princesses in the ultimate fight against evil. In IGN's exclusive clip, Adora meets her iconic steed, Swift Wind, while trying to get to grips with her new powers. 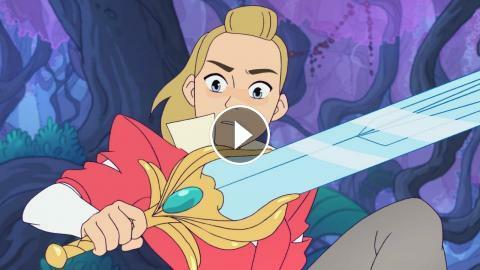 Season 1 of She-Ra and the Princesses of Power premieres Nov. 13 on Netflix.